You are currently browsing the category archive for the ‘Ecumenical’ category. I am working as the Executive Director of Pusat Kebajikan Good Shepherd (Good Shepherd Welfare Centre) in Malaysia. The primary focus of our work is with women and children experiencing crisis situations such as domestic violence, pregnancy crisis, abuse and other forms of crisis. We also work with women who come from impoverished backgrounds especially those living in rural areas with minimal access to basic services such as education, healthcare, water, sanitation and decent wages. I oversee 5 residential services and 6 preventive programs in different parts of Malaysia. This is my first CSW and it was an awesome experience for me. It was so good to with many women from different parts of the world, sharing the same joy, challenges and passion in advancing the status of women and girls; especially in the areas of human rights and basic necessities such as education, water and sanitation, health and decent wages. It was good to hear stories, to exchange best practices, to network with like minded women and to know that there is a wealth of information and resources available in different parts of the world. 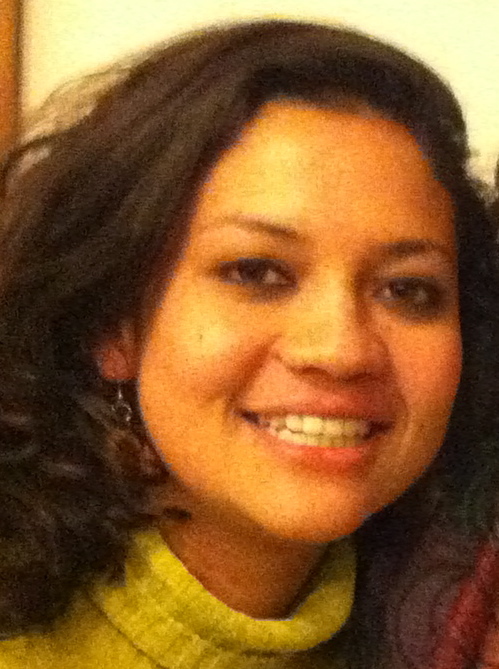 I leave the CSW a different person from when I first came – equipped with more information, made some new friends and learned how to use human rights documents for advocacy and systemic change. I praise God for this opportunity and privilege to be here. 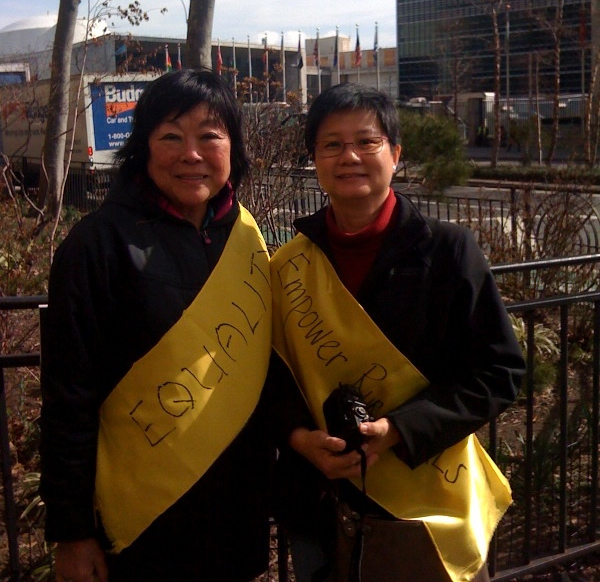 The picture shows Theresa (r) and Peng (l) at the International Women’s Day March. Peng Leong wrote this article. For the women of the North America Hunger Caucus, the focus was on connecting small stories to the big picture. Members shared facts: Under US nutrition guidelines, 2 packets of ketchup count as a vegetable. 51% of children in Oregon go hungry. 70 years ago, one in seven Americans were skilled farmers; now it’s one percent. These facts paint the picture that nutrition has an impact on every issue affecting the lives and livelihoods of women. For that central, essential reason, we will focus our efforts this week on adding language to the Agreed Conclusions that addresses nutrition guidelines and policy. You can watch video clips from this session on our YouTube channel at www.youtube.com/user/EcumenicalWomenCSW56!